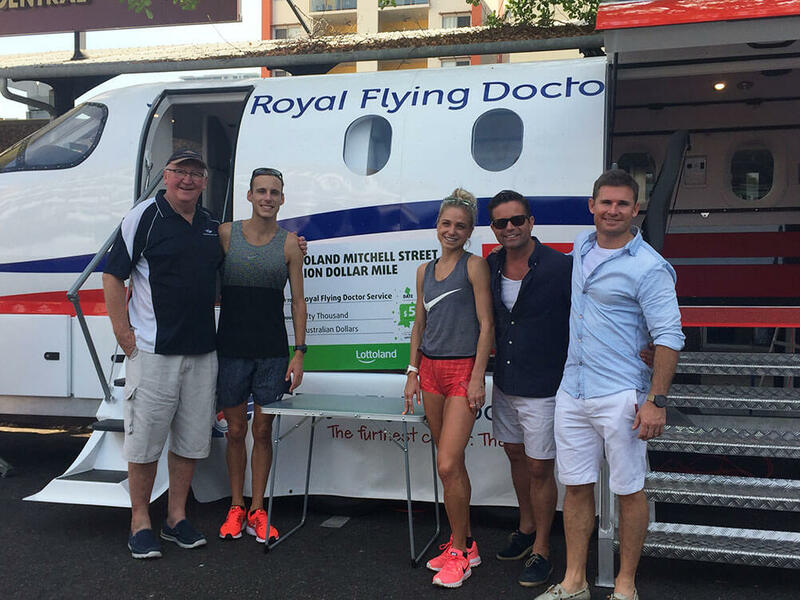 Lottoland has handed over $50,000 to the Royal Flying Doctor Service as part of their sponsorship of the Lottoland Mitchell Street Million Dollar Mile. The gesture continues Lottoland’s commitment to the Royal Flying Doctor Service (RFDS), after giving the charity a chance to build brand awareness by offering up it’s back-of-jersey sponsorship for a Manly Sea Eagles match last month. "We appreciate the generous donation from Major Sponsor Lottoland, which will directly benefit our capital-raising program for the replacement of our ‘flying intensive care units’ – at a cost of more than $7 million each," RDFS General Manager Northern Territory Michael Toomey said. Lottoland initially pledged $25,000 to the Royal Flying Doctor Service plus an additional $25 for each entrant into Darwin’s iconic Lottoland Mitchell Street Million Dollar Mile. The race saw a total of approx. 800 entrants, which resulted in an additional $20,000 generated for the aeromedical organisation, taking the final total to $45,000. However, as a further gesture of goodwill, Lottoland decided to add an extra $5,000 on top, generously rounding the donation to a total of $50,000 to the Royal Flying Doctor Service. This donation continues Lottoland’s policy to support local communities, further demonstrated in its current partnerships with the NRL’s Manly Sea Eagles and the AFL’s Sydney Swans. The Royal Flying Doctor Service is today one of the biggest and most comprehensive aeromedical organisations in the world, providing much needed emergency health care for those living in rural, remote and regional areas of Australia. Donations to the Royal Flying Doctor Service assist them in saving and improving the lives of people living, working and travelling in Outback Australia. People in these areas do not have access to hospitals or general practices due to the vast distances of Outback Australia, and the RFDS provides much needed support for people living in these areas. The not-for-profit charity is constantly working to see that those living in rural and remote areas can enjoy the same health outcomes as those living in city areas.